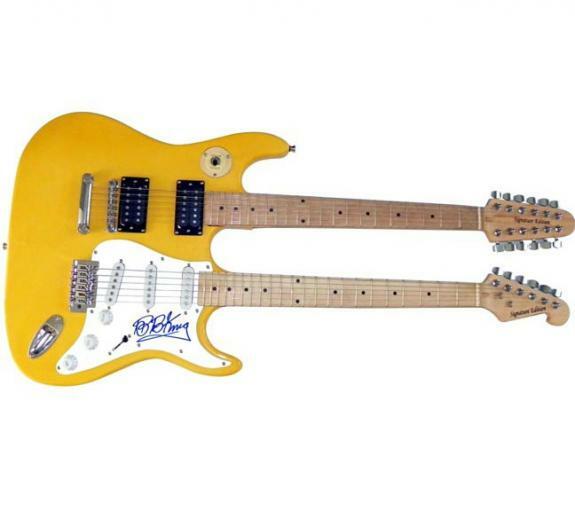 This is a brand new fully functional double neck guitar that has been hand signed in person by B.B. King. 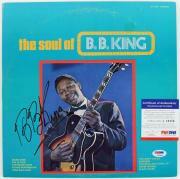 This item comes certified authentic from Autograph Pros, LLC B.B. 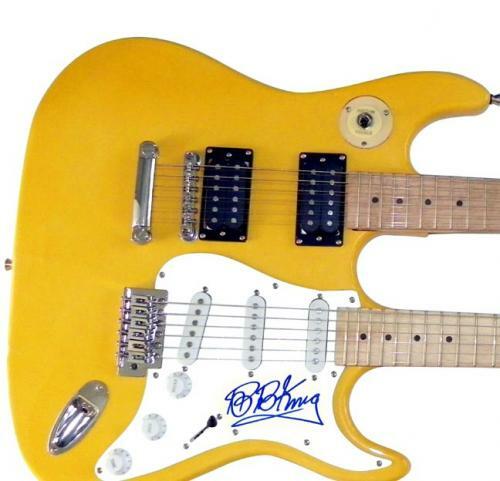 King Autographed Signed Doubleneck Guitar UACC RD COA PSA Authenticity Features: -A Certificate Of Authenticity will be included from UACC Registered Dealer #237, UACC 2011 Autograph Dealer of the Year. 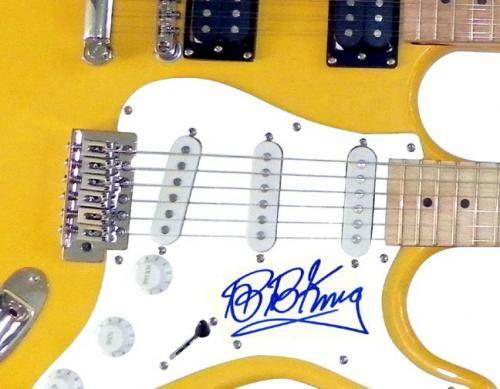 (The most trusted COA in the industry) -A hand signed lifetime guarantee of authenticity. -We document each of our in-person autograph signings and the date and location from when this was signed will be detailed. -A photo taken at the time of signing. In addition to our own certification this item has been examined and certified authentic by PSA/DNA and features their tamper resistant PSA/DNA sticker with unique # which can be looked up on their website for confirmation. 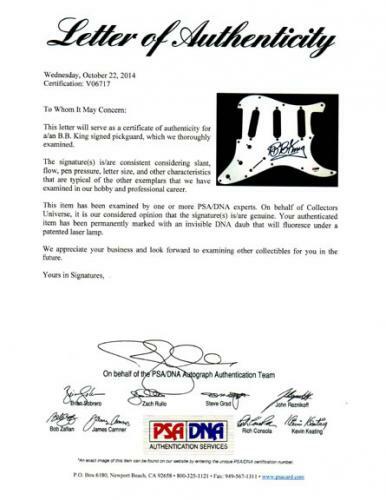 The PSA/DNA # is:V06717 PSA/DNA is the world's leading third party autograph authenticator. T Comes fully certified with Certificate of Authenticity and tamper-evident hologram. Also backed by HollywoodMemorabilia.com's Authenticity Guarantee.